Everyone knows the value of a good friend. They give you advice and console you when you’re in need. On August 3, Friendship Day reminded us to acknowledge the people who are closest to us by thanking, loving, and spending quality time with them. 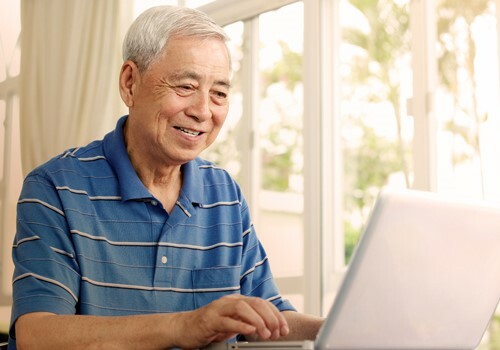 Like a good friend, Social Security’s online services are always there to give you the support you need. Opening a secure my Social Security account is one of the first steps you can take to planning a financially healthy retirement. Simply go online to open or access your account. At some point in his or her life, almost every American will need, or will at least be eligible for, Social Security benefits. Our website has quickly become our newest hub for many of our customers to conduct their business with us. Already more than half of our customers who apply for retirement or disability benefits, or who submit a Medicare claim, do so online. We know that you love your tablet and all the ways you can use it. Besides catching up with emails, chatting with your friends, or updating your social media accounts, it’s also easy to use your tablet to visit our website to learn more about our many online services. The convenience of doing business online, even by tablet, is important to us, and that’s why we make sure our technology will keep your information safe.